Our new Heritage Lottery and Kingspan funded project in partnership with the Herefordshire Wildlife Trust (HWT) and the Herefordshire & Worcestershire Earth Heritage Trust (EHT) has started its Development Stage. During this stage preliminary surveys, consultations with public and private landowners together with further prioritisation and selection of ponds will take place. Successful completion of this by August 2019 is necessary in order to secure funding for a further two-year Delivery Stage. Project Manager David Hutton has been appointed (from end November 2018) and Beth Andrews, the Project Officer for the geology aspects, has been appointed by EHT. David will have overall responsibility for the project, based at the HWT in Queenswood, reporting to Andrew Nixon. Ecology Consultants have also been appointed: HART’s Will Watson and Giles King-Salter. If you are interested in joining the project, either with an ecology or a geology interest, or both, there are plenty of volunteering opportunities, and training courses will be provided from March onwards. We will be surveying ponds along both sides of the River Wye west of Hereford (around Madley, Moccas, Credenhill and Letton) where many ponds were created at the end of the last Ice Age (approximately 20,000 years ago). Another area is in north-west Herefordshire (around Kington, Pembridge and Shobdon) where there is a lot of hummocky moraine left at the end of the Ice Age where ponds could have formed. Not all the ponds in these areas are kettle holes – one of the main aims of the surveying will be to use geological techniques to analyse the sediments around and within the ponds to inform us about their origin. We will also be aiming to identify much of the wildlife species found in the ponds, some of which are now increasingly rare and endangered. A chance to learn about the fascinating world of Ice Age Ponds, how they were formed, their wildlife and geological origins, and how we can help to conserve them for future generations. Learn why they are so special and how to identify the wildlife that can be found. Practical demonstration of geological recording techniques. We will be taking soil core samples using augers, using GPS to record water levels and using meters and test kits to measure the water quality. Practical demonstration of ecological recording techniques, with an emphasis on evaluating habitat quality. Pond dipping to look for amphibians, invertebrates and other pondlife. Training in the use of GPS, Water quality meters etc will be given. Training will last from 10:00 am – 4.00 pm. All equipment, plus hot drinks and biscuits will be provided. You will need to bring suitable outdoor clothing, Wellington boots and a packed lunch. A motorist driving along the C1121 on a mild, damp evening from late February to mid-April might be forgiven for thinking they’d finally lost it. In front of them appears a strange apparition-a cluster of torches accompanied by fluorescent vests, next to ‘brew-your-own beer’ buckets that seem to hang in mid-air. Closer examination reveals that each vest encloses an individual of a particular (peculiar) species that can be found in the location on the ‘right’ nights – the Toad Patrol volunteers. Toad numbers have fallen by around 68% in the last 30 years. The drainage of land for agriculture and the loss of ponds through land development have resulted in the disappearance of many Common Toad (Bufo Bufo) breeding sites, and it has also been found that milder winters are unfavourable for hibernating toads. Where desirable bodies of water still exist, toads use the same route to return to them each spring from their hibernation quarters just as their ancestors did, regardless of the establishment of roads or other obstructions. They simply amble cross any roads in their way and may be hit by vehicles or fall down drains in their quest to reproduce. The chance of being run over increases when male toads decide to sit on the convenient flat road surface while waiting and looking out for females to appear.  The campaign called Toads on Roads was initiated by national wildlife charity Froglife and is supported by ARG UK (Amphibian and Reptile Groups of the UK). The aim of the scheme is to help improve toad numbers by saving them from being killed by vehicles on roads near toad breeding sites. The GoToads! 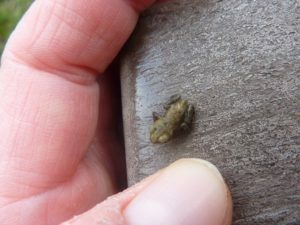 Community Project in Bodenham was spawned when Herefordshire Wildlife Trust (HWT), Herefordshire Amphibian and Reptile Team (HART) and St. Michael’s CE Primary School received a Heritage Lottery Fund grant to save toads. 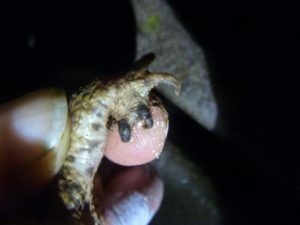 Toad patrollers begin walking up and down the road at dusk on mild (7⁰C), damp spring nights collecting toads in buckets, counting the animals and releasing them close to the lake. Any frogs and newts are also collected, recorded and released. The number of dead amphibians found is also recorded. The data collected over the observed toad breeding season is sent to Froglife which feeds the information into national amphibian surveys. Although there are variables such as the weather, number of volunteers attending patrols or motorists using the road on given evenings and times, the figures give a general idea of the national toad population or changes in numbers. Froglife has stated that in 2012 more than 62,000 toads on UK roads were collected and released. 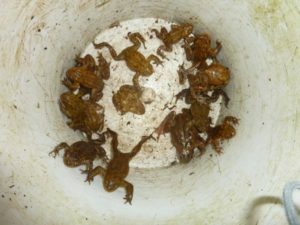 This year in Bodenham over 1000 toads were rescued. Back in Bodenham, as in other locations, enthusiastic local children were involved in building refugia from logs, turf and leaf litter; these were positioned a short distance from the lake with the aim of encouraging at least some toads to hibernate near the water and eliminate the need to cross the road. The earliest data for toads crossing the C1121 in Bodenham since the Toad Patrols began was collected on 18th February this year. A single-day record of 120 live toads was recorded the following evening. Bodenham has the largest migratory route for toads in Herefordshire. Flyers, social media and training courses and introductory meetings, as well as information provided to local schools are used to generate interest for the GoToads! project within the community. It is hoped that the Toad Patrols will be instrumental in ensuring that GoToads! never changes to NoToads. The Pooling Together Project set out to revive the pond landscape across 850 hectares of North-East Herefordshire by restoring 19 ponds on Bromyard Downs, the National Trust’s Brockhampton Estate and Bringsty Common. This partnership led by the Herefordshire Amphibian and Reptile Team(HART) and Herefordshire Wildlife Trust (HWT) builds on the work done by the Ponds and Newts Network Heritage Project in 2014, which showed that only 34 ponds remained in existence across the Bromyard and Brockhampton parishes out of nearly 100 at the end of the 19th century. The Pooling Together Project therefore aimed to restore some of the historical wetland habitat of the Bromyard Plateau, (Bromyard Downs, Brockhampton and Bringsty Common) by working with partner organisations in the area to improve the condition of existing ponds or create new ones. Many of the species that would benefit from this were nationally threatened or declining through the loss and fragmentation of their preferred wetland habitats. The Project also set out to involve local communities around the area, by helping the people of Brockhampton, Bringsty, Bromyard and its other surrounding parishes to connect with and appreciate the importance of pond habitats, along with their wildlife. It would do so by offering opportunities for people of all ages to work with The Project in carrying out the immediate and ongoing restoration work, long-term wildlife monitoring and participating in events organised through The Project. A significant part included working with teachers and pupils at local schools. The approach was to create new education resources around the theme of pond and their wildlife, which schools could use, and link this to the newly restored ponds in their local area. This work also included the creation of a purpose-built outdoor education facility at The Grove, Brockhampton. The Pooling Together Project set out to revive the pond landscape across 850 hectares of North-East Herefordshire by restoring ponds on Bromyard Downs, the National Trust’s Brockhampton Estate and Bringsty Common. The Project began in April 2015 and ran for just under 2 years. The Project was funded by the grants from the National Lottery’s Heritage Lottery Fund, BIFFA Award and Severn Trent – “Welcome to Our Future” fund. There was also in-kind match funding provided by The National Trust and Herefordshire Wildlife Trust. 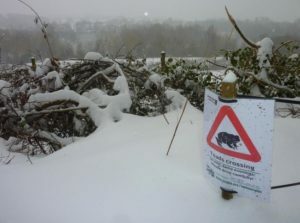 It was a collaboration between Herefordshire Amphibian and Reptile Team, Herefordshire Wildlife Trust, The National Trust, Bromyard Downs Common Association (BDCA) and Bringsty Common Manorial Court (BCMC). Working with these partners has helped The Project contribute to the land management of the wider area of Bromyard for improving biodiversity. At the outset, The Project aimed to create, restore or improve 19 ponds across Bromyard Downs, the National Trust’s Brockhampton Estate and Bringsty Common. As new opportunities arose during The Project period, it was possible to improve 21 ponds and hence greatly improved the biodiversity potential from the work carried out over the 2 years. The restoration of the ponds has increased the number of freshwater habitat across The Project area, benefitting several local/national priority wildlife species. These include the nationally scarce and protected great crested newt along with palmate and smooth newts, common toad, frog, and grass snake. Other species including bats, birds, a wealth of invertebrate species and freshwater flora will also benefit from better-connected pond habitats in good condition. All of ponds on which The Project worked, are now covered under long-term (10 year) management plans. The project invested in expert pond ecologists to develop the plans. These include a yearly breakdown of the tasks for maintaining the biodiversity value of the sites and monitoring these changes. The project has recruited 56 volunteers (including 7 young people under the age of 18) who have been actively involved with pond restoration and surveying. Other volunteers have contributed to The Project steering group, managing wildlife data and other administration activities. One work experience student also took part as a volunteer. The Project has organised 7 training days, with 53 total attendees, with the aim of educating volunteers and the local community about the ongoing practical management of their newly restored ponds, how to survey them for wildlife and even how to build compost toilets. Feedback from these has been very positive with most people noting enjoyment of the courses, improving their knowledge and increasing their appreciation of the value of the sites and the work of The Project. Volunteers participated in 6 practical work days and 8 wildlife survey days/evenings. Some of these have been run in collaboration with volunteer groups from partner organisations. The Project has liaised with representatives from the partner organisations (BDCA, NT and BCMC) to ensure that their volunteers can deliver the ongoing management for the ponds after The Project ends. Their total effort has contributed 136 days, with an equivalent value of £11575 over this time. It is anticipated that many of these volunteers will continue to assist with future management work and/or surveying for wildlife. During the Pooling Together project, there were 12 days of educational activities with nearly 360 young people taking part, from primary school to university age. This also included groups from local girl-guides, brownies, rainbow and home-education groups. Working with the National Trust as a partner, The Project has invested in a new, bespoke outdoor classroom called “The Grove”. It includes a large restored pond, purpose built dipping platform, a substantial timber-constructed shelter with seating, information boards and even “composting toilets”. Alongside this, The Project has worked with teachers to produce an education pack containing information and activities related to ponds and The Project area. This has been designed around the KS1/KS2 curriculum. The project has helped members of the public to interpret and understand the biodiversity benefits of the wetland landscape with information panels installed alongside each of the restored ponds. These specially commissioned notice boards provide a guide to the ponds, the special wildlife to look out for and a QR link to the Pooling Together Website. Further information about the Pooling Together ponds has been included as part of the information board for Bromyard Downs. This prominent location is one of the main visitor car parks for the Bromyard Downs Common and provides visitors with an opportunity to learn about both projects and plan their visits include the ponds of interest. The Project commissioned a printed walks leaflet called “Ponds Trails” which provides 3 walks that incorporate many of the restored ponds on Bromyard Downs, Brockhampton Estate and Bringsty Common. It has been distributed to the local information centres, the National Trust Visitor Centre at Brockhampton and the Bromyard Downs car park where it will be prominently displayed for members of the public to take copies. The Pooling Together Project has over 2 years, helped to reinvigorate the pond landscape of Bromyard, Brockhampton and Bringsty by restoring and creating 21 ponds and helping to establish them in good condition for the future. The work of the Project has benefitted a range of wildlife including nationally threatened species by increasing the network of ponds over The Project area. This offers greater opportunities for these and many other species to increase in number over the coming years. Initial signs suggest that key indicator species are colonising the newly restored ponds. The ongoing management plans for these sites will ensure that they continue to be the focus of the improvements, for the benefit of a much larger range of species. The commitment of volunteers during the project has ensured it has achieved its aims whilst the education resources put out during the project will help young people to experience and understand their greatly improved pond habitats around Bromyard. Funding has gratefully been received from Heritage Lottery Fund, BIFFA Award and Welcome to Our Future. An exit strategy has been produced to ensure the sites that have been restored will be managed and maintained into the future. In 2006 HART produced a full colour guide to the amphibians and reptiles of the county and their status, based on the results of the three year Ponds and Newts Project and other surveys for reptiles and amphibians. 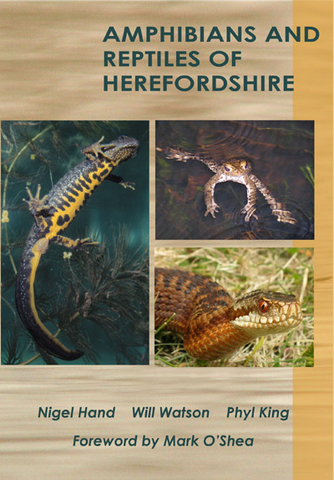 A book for all who love wildlife and want to know more about Herefordshire’s amphibians and reptiles and their habitats. The book is available from local bookshops in Herefordshire, and from Amazon. I spend a great deal of my time travelling to tropical countries in order to study their rich and diverse herpetofaunas but it has not always been that way. Throughout the 1970s and 1980s my idea of a great day out was to scour a local mineworkings in the Midlands for grass snakes or venture onto Kinver Edge to find adders, or Dorset for smooth snakes and sand lizards. I was not taking away, I was observing, counting, honing my photography skills, enjoying the encounter. Circumstances have now taken me to over thirty countries, most of them tropical, and introduced me to hundreds of species of exotic reptiles and amphibians, but I have not forgotten my roots, the wonder of sighting an alert, coiled British snake in the early morning sun, or of finding great crested newts in terrestrial garb under debris around the edge of a forgotten village pond. These are childhood and adolescent memories that I treasure and ones that I would hope generations to come will be able to appreciate for themselves. But they won’t if the continued rate of habitat loss, fragmentation and alteration continues. The adder in particular, is in trouble in the Midlands and adder-bashing may not be entirely to blame. This is a snake with very specific habitat and prey requirements. Change the surroundings and you may make its survival untenable. Neither does it deserve such treatment, one dozen fatal bites in the entire 20th century, come on, horses, dogs and bees kill many more people but we do not demonise them. We absolutely must protect our small but very special island herpetofauna. This is why a publication like the one you hold in your hands, Amphibians and Reptiles of Herefordshire, is so important. National and regional field guides are all very good but conservation begins at the grass roots level and that means much more locally, by county or shire, even parish. And to conserve anything you first need to know what you have got and how many. Now, for Herefordshire, that information is available, painstakingly compiled by three dedicated authors with a passion for their home-grown snakes, lizards, frogs and newts. This book concerns itself with five of Britain’s native amphibians and four of its reptiles, but it also includes reports for three introduced species. Because the species numbers are not high the authors are able to devote a great deal more space to each species, providing much more information to enable the reader, not only to identify the frog, lizard of snake, but to understand it, what makes it tick, how it lives, to appreciate it as a wild animal. The excellent photographs included illustrate many aspects of the subject’s life-histories. Finally, for me one of the most important aspects of this book are the maps. I confess to being a bit of a cartophile (a map lover) so distribution maps are particular favourites since they combine two of my passions. The spot-marked distribution maps in this book are precise and detailed. Those for the amphibians look fairly healthy but unfortunately the reptile maps tell a different story and one that perfectly emphasises the urgent need for a local guide such as Amphibians and Reptiles of Herefordshire. HBRC have now followed up their first publication in 2005 (on the county’s dragonflies) with this new volume featuring Herefordshire’s amphibians and reptiles. The authors of this book are founder members of HART (Herefordshire Amphibian and Reptile Team), who helped set up the Herefordshire Ponds and Newts Project . The objectives of this 3-year Project were to assess the health of the county’s ponds, and map the distribution of the county’s five amphibian species. Over 150 people took part in the training and recording programme completed in 2006, generating more than 550 amphibian records. To this database were added reptile records from Nigel Hand and from historical sources. This book is the culmination and celebration of all this original research. The species accounts form the core of the book and its particular strength. Adults of each of the nine species are described in detail, stressing key identification features. Other sections provide information on the life cycle and habitat, together with useful coverage of current status, threats to survival and any existing legal protection. The final section on national and local distribution is what sets this book apart from other herpetofauna guides. The records from the HPN project are plotted on county distribution maps, showing those pre-2000, and HART records for 2000-2006. Each species account is copiously illustrated with excellent colour photographs and attractive drawings which greatly enhance the text. Even introduced species are not forgotten, with brief details of three species which may or may not justify a place on the Herefordshire check-list. With less than ten species to cover, the authors have wisely, in my view, decided to set the species accounts into a wider context. Thus, a summarised history of Herefordshire ponds is placed within a description of the county’s geology and landscape features. The chapter on conservation explains the widespread loss of ponds and other key habitats in the latter part of the 20th. century; describes what is being done by national and local organisations to arrest habitat loss; makes a plea for people to dig more ponds; and describes how to achieve a more amphibian/reptile friendly garden. Also included is an interesting summary of what is known about amphibian/reptile recording in Herefordshire over the past 150 years. It is to the credit of all involved with this book that I could find very little to criticise. The choice of red and green dots on the distribution maps is unfortunate if, like this reviewer, you happen to be partially red/green colour-blind! But these are minor niggles which do not detract from an excellent publication, painstakingly produced from a wealth of new information. Both the research scientist and interested amateur naturalist can gain from its pages. Herefordshire is indeed fortunate to have had such dedicated enthusiasts wanting to record and write about its fascinating herpetofauna. This book is a real gem. We would heartily recommend this to anyone with even a passing interest in amphibians and reptiles, whether they live in Herefordshire or not. The concise, well-written species descriptions with clear distribution maps, together with pictures and photographs of all life cycle stages, are a great deal better than in many expensive field guides. The sections on history and landscape were most interesting, giving context to the species and their distributions within the county. The whole book is packed with high quality photographs of the animals and their habitats making it a pleasure to read. This is a most useful publication, well-produced and at an affordable price. The aim of the project was to assess the health of the ponds in Herefordshire, and the distribution of the great crested newt and other amphibians in the county. 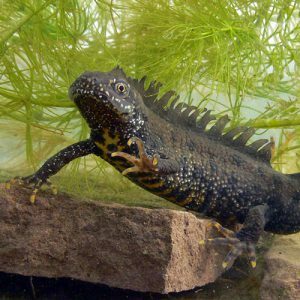 As the great crested newt is a Biodiversity Action Plan (BAP) species we had the opportunity to apply for funds for the work. The Herefordshire Rivers Leader+ programme funded a substantial percentage of the project, which was therefore restricted to the parts of Herefordshire for which Leader+ funds could be used, namely the 96 parishes that bordered or included the four main Herefordshire rivers: the Wye, Lugg, Frome and Arrow. The LEADER+ area covers 880 square kilometres, roughly a third of the county. Over 250 ponds in this area were surveyed, generating an excellent record base for the county. The funding also allowed us to provide pond and amphibian training for well over 100 people, thus expanding the availability of these skills in the county. 57 great crested newt sites had been identified within Herefordshire. Their distribution is shown on the map: some of the dots may represent several ponds. 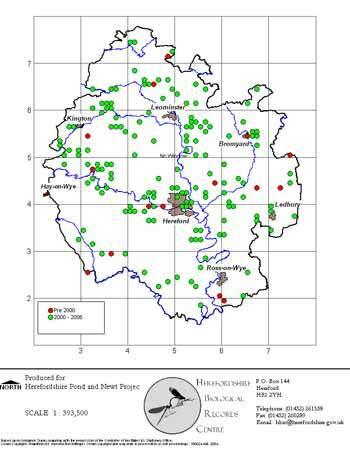 40 of those sites occur within the Herefordshire Rivers area, shown in blue. To our funders: the Herefordshire Rivers LEADER+ Programme, who provided the bulk of the money for the project, and continual encouragement and support as the project progressed. Also the SEED programme (was part of the National Lottery), the Environment Agency (Wales) and the Herefordshire Biodiversity Partnership. We also received support from Froglife and the HCT. To the many pond owners who gave us permission to come on their land and survey the ponds. To the key staff on the project: Project Consultant Will Watson and Survey Team Coordinators Jules Agate, Angela Charlton and Lydia Robbins. To the volunteers: We owe a big debt of gratitude to all the volunteers who worked so hard in many ways for the project – surveying, data entry at the HBRC, accounts, administration, training and project support and so on. Over 2000 hours were logged on the timesheets, with a value to the project of around £20,000, allowing us to claim £13,500 in real funds to held pay for the project. We stopped using timesheets in September 2005 because we had reached the budget limit on volunteer time payments, but we know a lot more volunteer hours were worked after that, not least by the authors of the atlas: Amphibians and Reptiles of Herefordshire. The Atlas costs £6.99 and can be purchased from HART committee members, at HART meetings, from local bookshops, from the NHBS on the internet; or from the Herefordshire Biological Records Centre, Tel: 01432 261538 E-mail: hbrc@herefordshire.gov.uk. Since the launch in December 2006 we have sold around 600 copies and the feedback we have had from people who have bought or seen it is how good it is with some fantastic photographs which clearly illustrate the text and aid identification. Click here for more information about the Atlas. The end project report can be downloaded in full as a pdf: Ponds and Newts Project Final Report. We are indebted to Stephen West who used our pond survey data as a basis for his MSc thesis about assessing pond suitability for great crested newt presence using a Habitat Suitability Index (HSI) calculation (see below). The final results are based on the analysis Stephen has done. The surveys have shown that 46% of all ponds have great crested newts, and 48% have smooth newts, but only 29% have palmate newts. 11% have all three, which is quite a high proportion by UK standards. So, in Herefordshire, while the great crested newt is the protected one, the palmate is the least common. The Quality Assessment of Ponds bar chart shows that only around 40% of ponds were found to be of good or excellent quality. The theory suggests that great crested newts prefer good quality ponds, and results shown in the chart just about corroborate this, notably that very few ponds with great cresteds were rated Poor, while a significantly higher proportion of ponds without them were Poor. But there were almost as many excellent ponds without them as with. Great crested newts were found in 40% of poor and below average ponds which could suggest that these are populations hanging on in ponds of declining quality, which would benefit from restoration before the population dies out. This index is based on 10 criteria including surrounding terrestrial habitat, pond size, pond quality/clarity, plant cover, tree cover, presence of fish and waterfowl, and so on, which were all recorded in the surveys for each pond. From the HSI values, the ponds are graded as poor, below average, average, good, excellent. 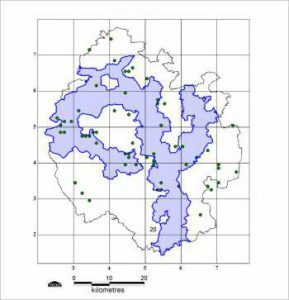 This data assessment can help us to identify which ponds in which areas would most benefit from restoration and improvement work so that the great crested newt can thrive and expand its range. The Herefordshire Pond and Newts Project has been part funded by the European Union (EAGGF) and DEFRA through the Herefordshire Rivers LEADER+ programme. The project has also been part Lottery funded by the £15.3 million Social, Economic and Environmental Development (SEED) Programme. The SEED Programme, managed by the Royal Society for Nature Conservation (RSNC) and 11 consortium partners, distributes National Lottery money on behalf of the New Opportunities Fund, under its Green Spaces and Sustainable Communities funding programme. Further funds have been received from English Nature and the Environment Agency, Wales. Snakes can invoke fascination or fear and loathing, even amongst wildlife lovers. Many people have a problem identifying, understanding and appreciating snakes. Even the slow-worm, a legless lizard, is regularly mistaken for an adder. 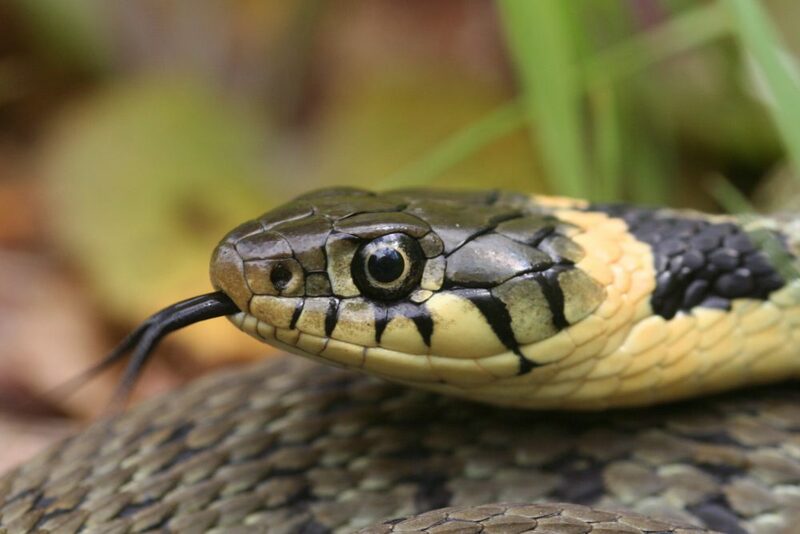 The public now have the opportunity to learn about and observe Herefordshire’s reptiles with this exciting wildlife initiative; “What’s that Snake?”. “What’s That Snake?” with nearly £50,000 from the Heritage Lottery Fund (HLF) was a collaboration of the Herefordshire Amphibian and Reptile Team (HART) and Herefordshire Nature Trust and ran for two years. 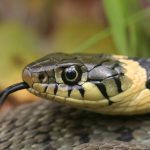 All of the County’s reptile species are now UK Priority Bio-Diversity Plan Action Species, necessary due to national declines of populations through habitat loss and mismanagement. 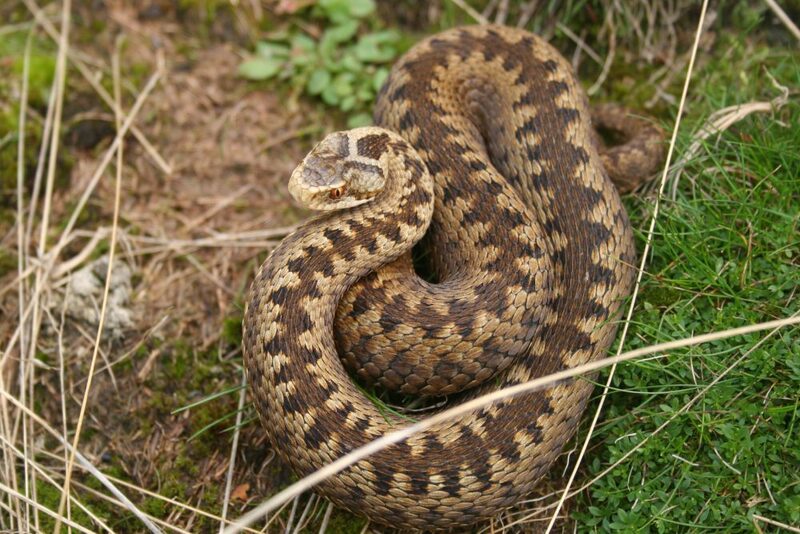 The adder also has a local species action plan in Herefordshire. The Amphibian and Reptile Atlas produced by HART in 2006 revealed a disturbing lack of reptile records particularly for adders and viviparous lizards. In the training courses on identification and surveying techniques volunteers were inspired to appreciate, locate and record these fascinating and secretive creatures. They surveyed at 10 locations throughout the county in the Malvern Hills Area of Outstanding Beauty (AONB), Wye Valley AONB, Ross- on-Wye, Goodrich, Mortimer Forest Trail area and Kington, working in co-operation with Forestry Commission, National Trust, Malvern Hills Conservators, Commons and volunteer habitat management groups. Verified records were submitted to the Herefordshire Biological Records Centre. The project visited 58 schools providing illustrated identification posters, worksheets and interactive DVDs to be used as educational tools, so creating wildlife interest in future generations. Community road shows, with dedicated advice and visual displays to further spread awareness, were also run. 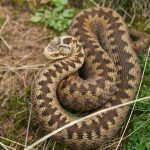 Reptiles are very much indicators of the health of our countryside and “What’s That Snake?” gave us an idea of how these indicators were faring. What’s That Snake? project was a partnership between Herefordshire Amphibian and Reptile Team (HART) and Herefordshire Nature Trust. 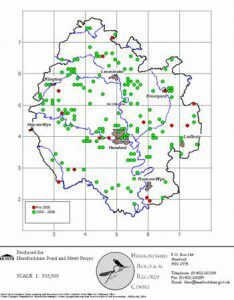 From June 2012, the Ponds & Newts Heritage Network Project planned to discover, map and survey the network of ponds throughout the north-east section of Herefordshire, including 25 parishes from Colwall and Ledbury, through to Bromyard and Brockhampton. 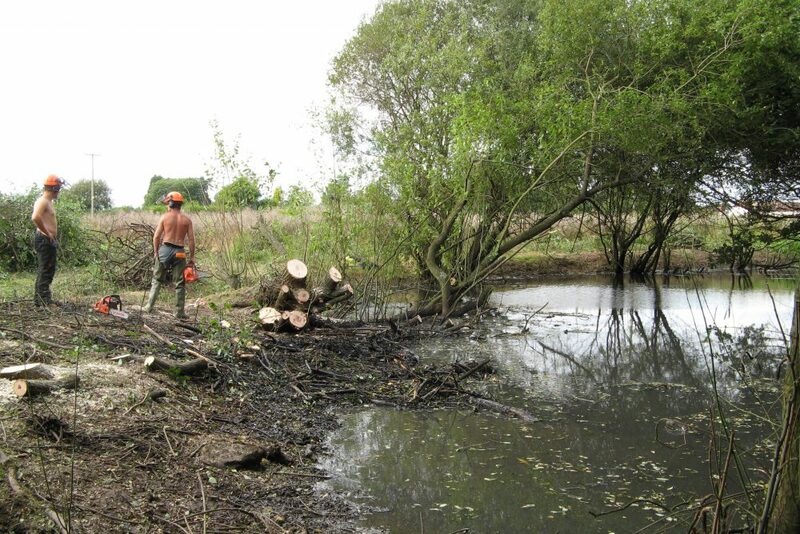 Before the project ends in March 2014 we hope to be able to identify key areas where future pond creation and restoration would be particularly beneficial in providing a good network of habitats. The project also provided training in surveying ponds and school educational visits within the survey area. The County Council Archeological Department and Herefordshire Biological Records Centre (HBRC) have played a key part in mapping and collating data of project pond records. In the early stage of the project, public mapping consultation evenings were held in Bromyard, Ledbury, Bishops Frome, Cradley and Colwall. These were useful in helping to locate areas to focus further survey work and to recruit new surveyors. The HBRC produced large scale maps illustrating the historical and surviving ponds within the project area and these maps were taken to the events. The public provided information on ponds they knew about in their area or put forward ponds for survey by studying the maps. To begin with, a series of 5 Pond Survey Training Days were organized covering areas of Ledbury, Bromyard, Mathon, and Ashperton, with a total of 55 people trained as surveyors. The Wildplay team also took part in a pond survey training day and ran pond celebration days at schools and family events at Bringsty Common and Bromyard. Thirty two people surveyed 50 ponds, including wildlife, stockwatering and dewponds, and even reed bed systems, within grand country estates, on commons, fields or gardens. The most common ponds surveyed were ornamental followed by stockwatering and then wildlife. Surveyors provided over 860 records from their pond visits and I am impressed and grateful for the dedication and enthusiasm of their efforts. Ponds were evaluated as to their condition with categories ranging from excellent, where mayfly larva and caddis were present (indicators of clean water conditions), to poor where only midge larva and sludge worms were the species noted. 80% were considered to be in moderate condition with species such as water beetles, damselfly nymphs, backswimmers and amphibians present. 14% were in poor condition, 4% in excellent condition and 2% in very poor condition. 41 ponds out of the 50 had amphibians. The European protected Great Crested Newt (Triturus cristatus) was found in 22% of the ponds with definite breeding evidence in 14% for this species. One of the best areas, with a good local distribution for great crested newt, was Ashperton, where it was found in five out of six ponds surveyed, and in all three ponds of Ashburton School. The children at the school are extremely passionate about wildlife on the site and thoroughly enjoy pond education days. Great crested newts were also recorded in Bromyard, Ledbury and Aylton. Palmate newt (Lissotriton helveticus) was also recorded in 22% of ponds and newt larva of smooth (Lissotriton vulgaris) or palmate in 16% of ponds. 22% of ponds had 2 species present. Seven Common toad (Bufo bufo) breeding locations were identified and five of these had not been recorded before. One species I am particularly keen to have seen recorded was the grass snake (Natrix natrix) and 2 of these elusive reptiles were actually seen on surveys and one was swimming in the survey pond. On the survey there was evidence of four further sites with breeding grass snake and one site had 100 eggs in an old horse manure pile. This is our most aquatic UK snake and will locate its prey within the pond environment. Freshwater eels (Anguillia anguillia) were seen in two ponds, one moving up a ditch into a pond in Munsley and another in an old wheel washing pond at Stretton Grandison. A species I have rarely seen since I was a child is the three-spined stickleback (Gasterosteus aculeatus), but this was found in 12% of ponds in the areas of Ledbury, Colwall, Stretton Grandison, and Bromyard. Many of the ponds surveyed are in need of de-silting or restoration work. 10 ponds were 100 years or over, some dating back to the 1600s. Many of these older ponds were in poor condition and all were associated with estates or period buildings. After experiencing one of the wettest winters in recorded history with areas of the south west flooded since Christmas and the potential for further wet spells in the future, this excess rainwater is running off our intensively grazed and agriculturalised hillside landscape, only to cause problems in low lying areas. In the past all villages had ponds, there were also stockwatering ponds in many fields and roadside drover or wheel washing ponds. Many of these were ephemeral, drying in the hot summers and filling over the wetter winters and early spring, taking up all the excess water. Looking at the maps from this project illustrates a 75% pond loss, largely within the farmland environment. This is shocking as we think of Herefordshire as one of the more rural of counties and less likely to have suffered heavy change like other areas, but ponds have been frequently filled in, replaced by piped water troughs in nearly every field or just neglected leading to a successional damp shady area of willows on the field boundary. We can reinstate old field ponds or other waterbodies as new ponds. Many wildlife projects are short-lived and do not provide great help, but pond building would be a great legacy. A new project to restore lost ponds and improve connectivity of waterbodies is needed. More ponds are needed to take up future winter rainfall, a simple solution with the added bonus of improving wildlife diversity. Herefordshire clay soils are ideal for digging and puddling, a technique that could be widely taught again. Hopefully we can further this project by initiating conservation work to increase local pond networks, reducing potential flood issues and providing further valuable habitat. I would like to finish with a thank you to Francesca Griffith, who oversaw my project, along with two others at the same time. She was instrumental in helping to develop and steer four successful project partnerships between the Trust and Herefordshire Amphibian and Reptile Team over the years. 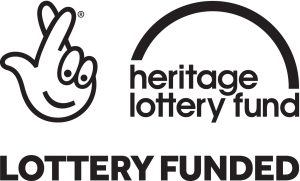 HART in partnership with Herefordshire Nature Trust has been awarded a £43,000 grant by Your Heritage, part of the Heritage Lottery Fund (HLF), to run a new Pond Project. Nigel Hand was appointed Project Officer and started on 11 June. The November 2013 Project Newsletter, reporting on progress so far, is available to be downloaded. This project operates in 25 parishes in north-east Herefordshire between Colwall and the Malverns in the south and Bromyard in the north. First it aims to map where existing parish ponds are and, where possible, past ponds too. In order to gather information about existing and past ponds we’ll run events where we can meet parishioners to share their knowledge of the whereabouts of ponds, and for us to share the importance and value of these ponds in the landscape, and their flora and fauna. The Archaeology Department of Herefordshire Council will be producing a report on the ponds and their historical use in the area. Through all this we hope to inspire people to take an active part in the project. The project has run four pond training days on how to identify pond species and do surveys; and information about general pond management. Through this, we aimed to promote good management and restoration of existing ponds and to encourage people to dig new ponds. We are offering free surveys of ponds in the parishes. Any new and restored ponds would enhance the pond network between the two special wildlife areas: the Malvern Hills AONB and Bromyard Down. This is an important aim, as the project specifically will be producing a further new project proposal for creating or restoring up to 15 ponds in the region to enhance that pond network. The project also has a school education focus with visits to local schools (about 14), engaging children and teachers about ponds, linking the visit with the national curriculum and by providing schools with an educational pack on ponds, covering science, art, history, play, ensuring generations of children are familiar with the outdoors and knowledgeable of the aquatic wonders in their local environment. We plan to raise awareness and involve the public with up to four events with the HNT Wildplay team and with our stand at a number of major events in the summer such as the Herefordshire Country Fair. As we did for our other projects, we will create some colourful displays, an eye-catching 6 foot high banner with pond and pond life images, and a leaflet to publicise the project and ask for information and volunteers. If you would like to volunteer or know more about this project, please contact Nigel Hand, Pond Project Officer at Herefordshire Nature Trust on 01432 356872 or 07974 121806, n.hand@herefordshirewt.co.uk. The Ponds and Newts Heritage Network Project is a partnership between Herefordshire Amphibian and Reptile Team (HART) and Herefordshire Nature Trust. Nearly 300 ponds were surveyed during the Ponds and Newts Project, of which almost 50% supported great crested newts, but a lot of habitat neglect was identified. In response HART was keen to raise the profile of ponds and to restore some with the help of local communities. The five pond celebration days were held over the summer months with a large group of helpers and experts from HART, either stationed about the pond enthusing about wildlife, or manning the admin, tea and cakes, and making the events very enjoyable experiences. The first was at Ashperton in June: a farm walk organised by and in partnership with FWAG to inspire the farming community, with HART volunteers dipping the ponds. Later visitors to Breinton Manor and Westonbury Mill Water Gardens braved the rain, while those at Woodlea and Kenchester Aquatic Centre were more lucky. Many thanks to the owners for all their preparation and for talking to people about the ponds’ creation and management. See photos of some of the events. The five ponds to be restored were selected for the project prior to its start and had the support of landowners and members of the local community. All had permissive access or public rights of way nearby and were visited by local people. The ponds at Ross on Wye and Holme Lacy fell into the Wye Valley AONB area, and ponds at Madley, Honeymoor Common and Staunton-on-Wye fell into the Herefordshire Rivers LEADER+ area, thus permitting the funding of the project. 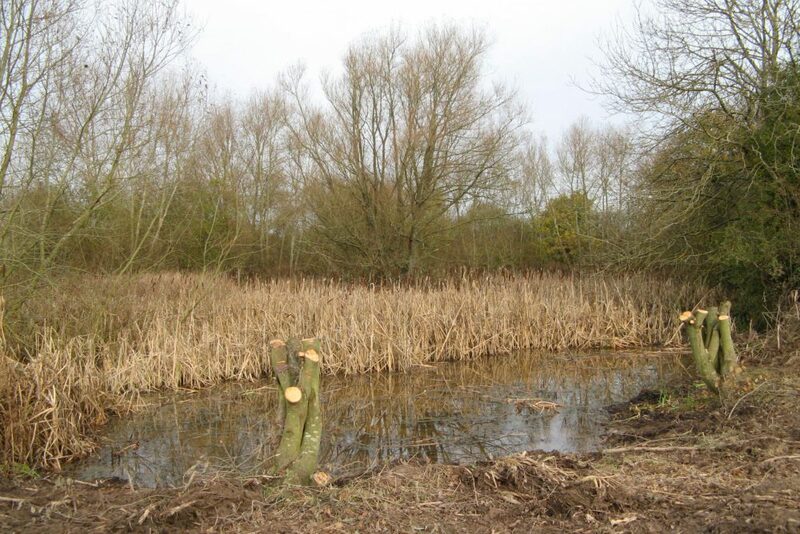 Madley Moat (near the tennis club) had major tree clearance using a combination of contractors and volunteers. The previously closed canopy was opened up so that the sun can get in, lots of debris was dragged out of the water and habitat piles built in different places for the benefit of reptiles and amphibians. It’s now possible to get a vista across open water and even see the shape of the moat, and the water quality looks better already. However the pond will need more hard work by volunteers to manage it for wildlife into the future. ▸ Follow the link for more information about the Restoration of Madley Moat. At Holme Lacy, the parkland pond has been dug back to its original banks. At the moment it is still separated from the existing pond, but once life has moved in and we are sure it will hold water, the division can be dug out to join the two together again. Holme Lacy information sheet (pdf). At Staunton-on-Wye, the bulrush-choked pond was dug out completely and a shallow margin dug on the southeastern side to increase the draw-down zone and encourage water mint and other good egg-laying plants for newts. Lower House Orchard wildlife area information sheet (pdf). At Honeymoor Common HART was unable to find a sustainable and affordable way of dealing with the pond that is thick with Crassula. To prevent this highly invasive weed spreading into other watercourses, the pond vegetation and silt needed to be disposed of off-site, but the cost of transporting it to composting or landfill plants was extortionate. However, in the other pond on the common Will Watson found bucket loads of great crested newts, plus a rare beetle and snail, so work was transferred to that one. Work involved digging a scrape in an old pond that was just marsh, cutting down marauding willow and creating habitat piles. ▸ Follow the link for more information about the Restoration of Honeymoor Common. Finally, the Welsh Water pond at Ross-on-Wye was subjected to tree management, with pollarding, coppicing and the clearing of willow where it had established in the pond itself. ▸ Follow the link for more information about the Restoration of The Old Reservoir. Alton Pond information sheet (pdf). We have had the support of 41 volunteers putting in a tremendous total of 602 hours! Many thanks to all the HART members who have spent time helping with celebration events, pond work and admin! We are grateful to the Herefordshire Rivers LEADER+ Programme, the SITA Trust, and the Wye Valley AONB for funding the Pond Restoration and Celebration Project. This project was part-financed by the European Union (EAGGF) and DEFRA through the Herefordshire LEADER+ Programme.